Ali Ildirimoglu (Mamishov) was born to a farm laborer’s family in Aliguluushagi village of Gubadli region on 17 November 1927. There broke out the Great Patriotic War covering the years of 1941-1945 while he was in the 8th form there. As the boys who made up the majority in VIII-IX forms and reached their military age, were enlisted to the war, the same forms ceased their educational activity. The school directorate considered him to be an active pupil and directly promoted him to the 10 form where girls prevailed and their education was continued for the same reason. Thus, Ali Ildirimoglu completed the 8th form and directly passed to the 10th form without studying in the 9th form and finished the same secondary school successfully. Regarding the course of the war, teachers were needed in the villages. Therefore, Ali Ildirimoglu was sent to two month course which trained teaching staff in Susha city on the same year. After finishing the same course, he first started his career as a class teacher in Malikahmadli village primary school in 1941-42 academic years. 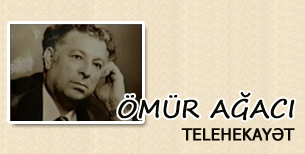 He worked as a teacher at Khidirli, Novlu, Khandak primary schools and Teymurmuskanli seven-year school by 1946. He re-continued his pedagogical activity after finishing Lachin Pedagogical Technical School by correspondence and Faculty of History of Agdam two-year Institute of teachers in 1946-1948. He worked as the Deputy Director on Educational Affairs of Aliguluushagi, Dondarli and Muradkhanli secondary schools. He held the positions of Inspector of Region Educational Department, Responsible Secretary of “Vanguard” region newspaper published in Gubadli and then as an editor since 1951. He conducted activity as a special correspondent of “Communist” newspaper which was the most influential newspaper of the Republic over Nakhchivan, Garabag, mountainous Garabag, Mil-Mugan, Sumgait-Guba zones from January 1955 till the end of 1991. As abnormal atmosphere appeared in “Communist” newspaper, he undertook to work at “Hayat” newspaper and went on a pension on his own application after holding the same position in the same press organ in the same zone (Absheron, Sumgait, Davachi, Guba, Gusar and Khachmaz regions) for a year and a half. 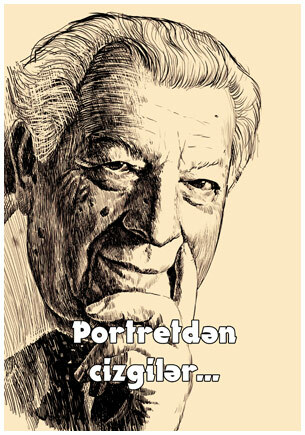 He is an author of “Yazim-yazmayim” (to write or not); “Mayaklar” (Lighthouses); “Telepat”, “Chinarli” (Place of plane tree); “Derd” (Grief); “Silinmez izler” (Indelible traces) books containing hundreds of essays, topical satires, stories and tales including “Hemin adam” (The same person); “Kozeren setirler” (Incandescing lines); “Menim renjber atam” (My farming father) and two-part novels like “Zoren jurnalist” (Journalist by force); “Agibet” (Fate); “Garli geceler” (Snowy nights); “Dash yagan gun” (Day of pouring of stones). The first part of “Zoren jurnalist” novel (under the name of “Eshg, galam ve govga” (love, pen and quarrel)), “Menim rencber atam”, “Agibet” novels were translated into Turkish language and “Agibet” novel into Romanian language and published in great circulation. “Menim renjber atam” was published in Arabic letter in Iran. His selected works were published in 2007. 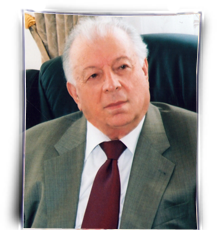 The monograph of the critic Bast Alibayli on his works was published in 2006 and the monograph “Literal chronicle of the national and moral values” of Gurban Bayramov, PD, in 2009. He was conferred with the medal “Gallant labor” for his activity conducted in the back battle-field in 1941-1945 and “Glory” order for his services in the development of Azerbaijani literature and journalism by the Order of the President of Azerbaijan Republic on 16 November 2007. He is a member of Azerbaijani Writers’ Union. He was conferred with the name of “Honored journalist” of the Republic in 1988. He is a laureate of “Gizil Gelem” (Gold Pen), “Ali Araz”, “Ustad jurnalist” (Master journalist) and A. Hagverdiyev prizes. He was conferred with the International Prize like “Service for Turkish Literature” for his services provided in the development of Turkish literature by the International Academy of Sciences of Turkish World Investigations of Turkey. He is the father of five children. Yusif, one of his son, is a lawyer and candidate of sciences. Yunis is the President of “Amrahbank”. Rasim is a policeman and colonel. But Nazim is a doctor. His daughter Saadat is a candidate of philology. His wife Shafiga graduated from the Institute of Teachers. He has 13 grandchildren and 9 great grandchildren. All his children bear the surname-Ildirimzada.